This publication is the first cahier, Mad Marginal # 1, part of a broader research project, originating from the writings by Franco Basaglia, the Italian psychiatrist who promoted the Law 180 and made Italy one of the first countries to shut down mental hospitals, and a pioneer in alternative mental health care. 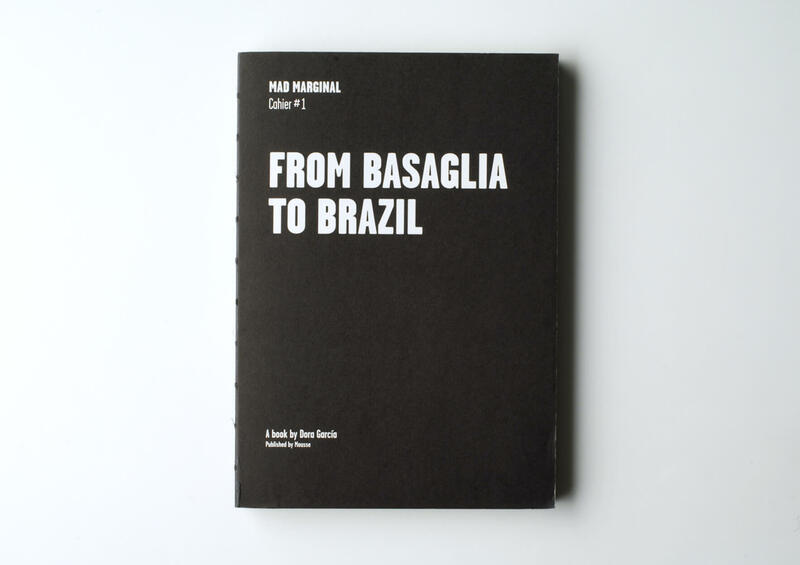 This tradition of anti-psychiatry and the “Basaglia revolution” are for García an occasion and an opportunity to investigate forms of artistic production that consciously decided to stay at the periphery of the mainstream. Published on the occasion of the workshop Dora García. Mad Marginal (27-28 September 2010) held at the Fondazione Galleria Civica-Centro di Ricerca sulla Contemporaneità di Trento, in the context of the Trentoship/Trento.link program. Edited by Andrea Viliani. Design by Alex Gifreu.